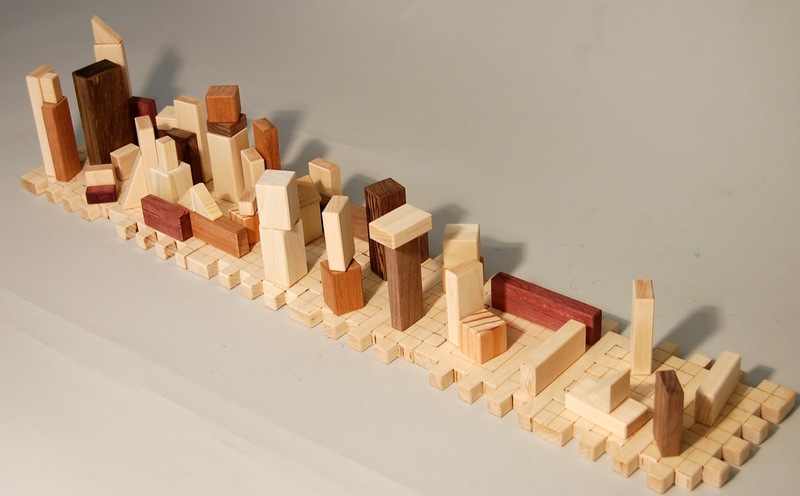 One City Block is a building and design opportunity neatly tucked away in a wooden cube. 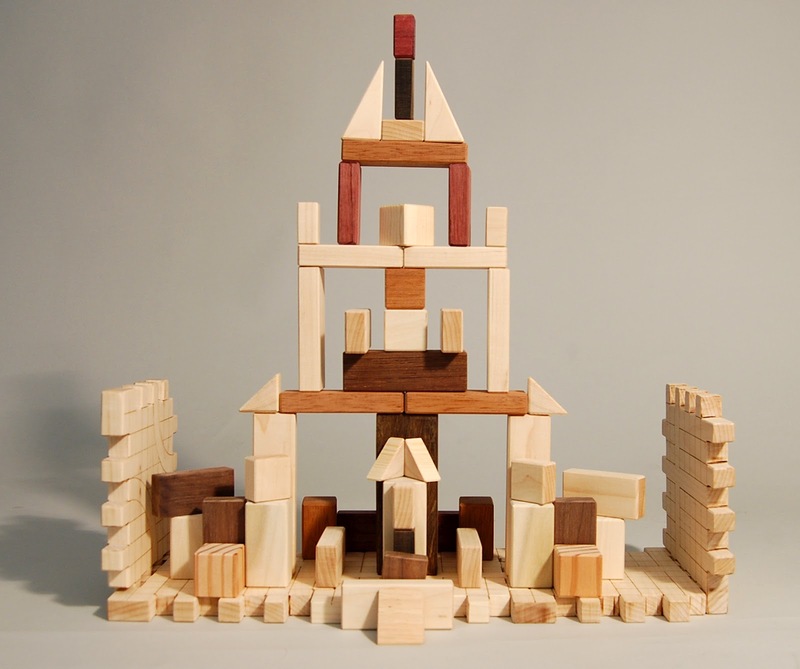 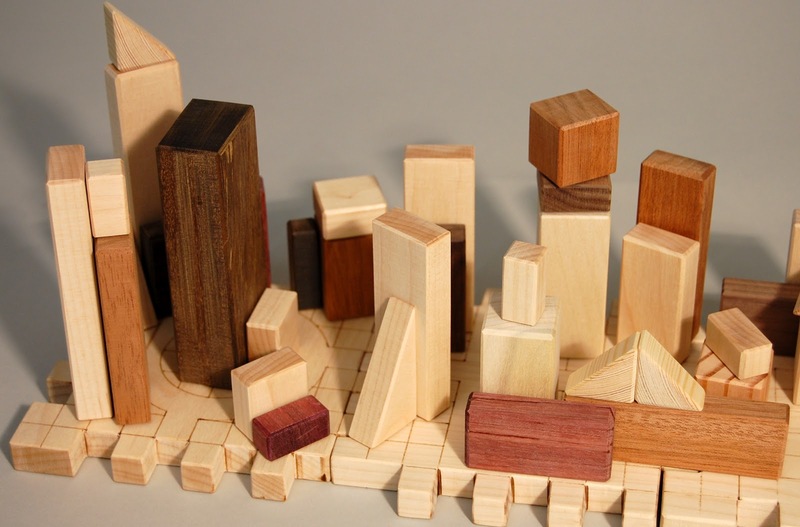 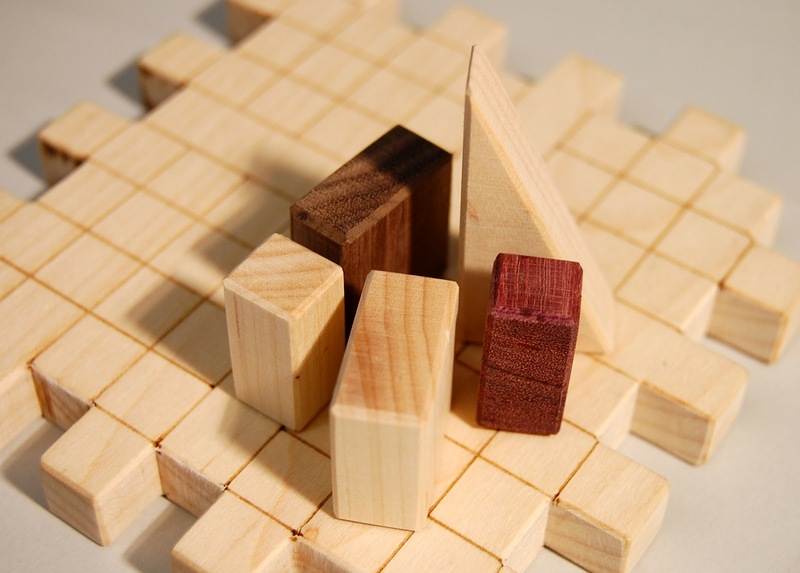 The toy is designed for two fun experiences: exercising creativity by constructing a city block with various sized wooden pieces, and also completing a 3-dimensional cube puzzle. 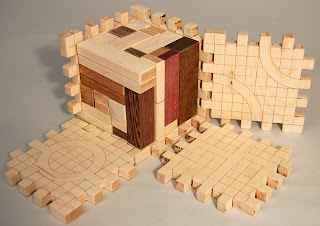 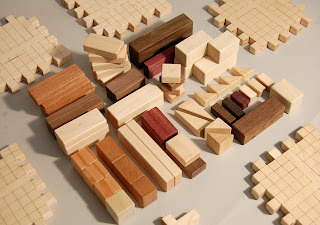 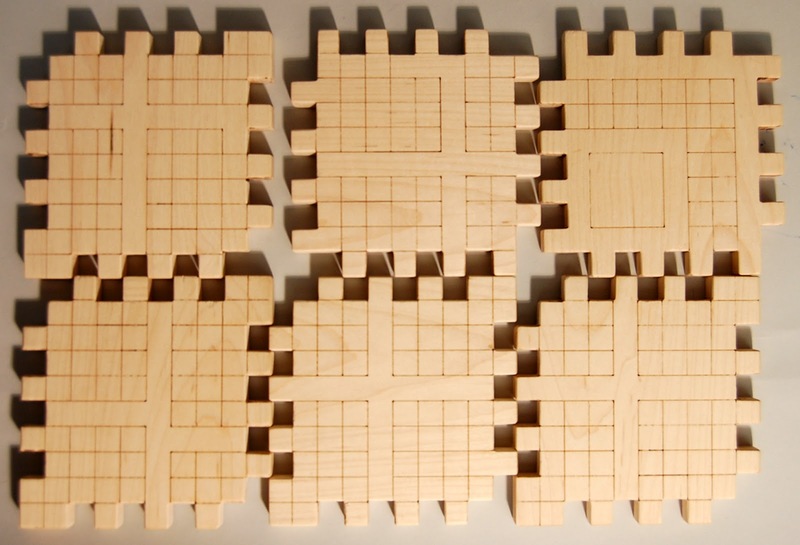 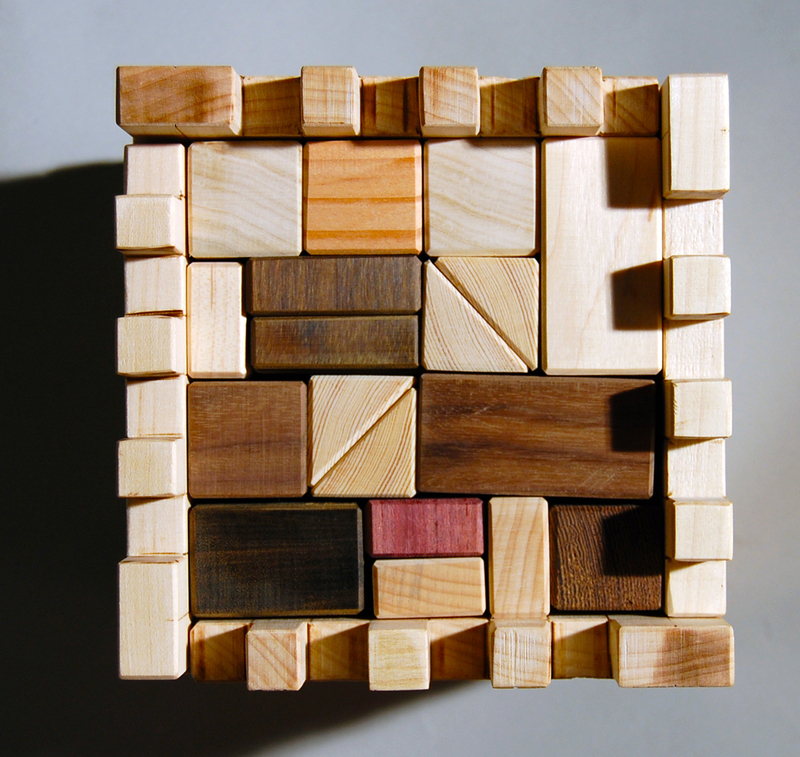 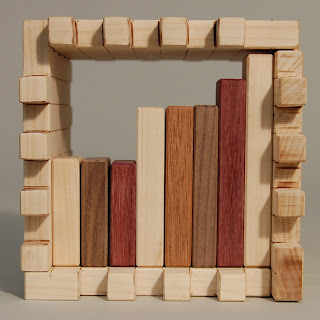 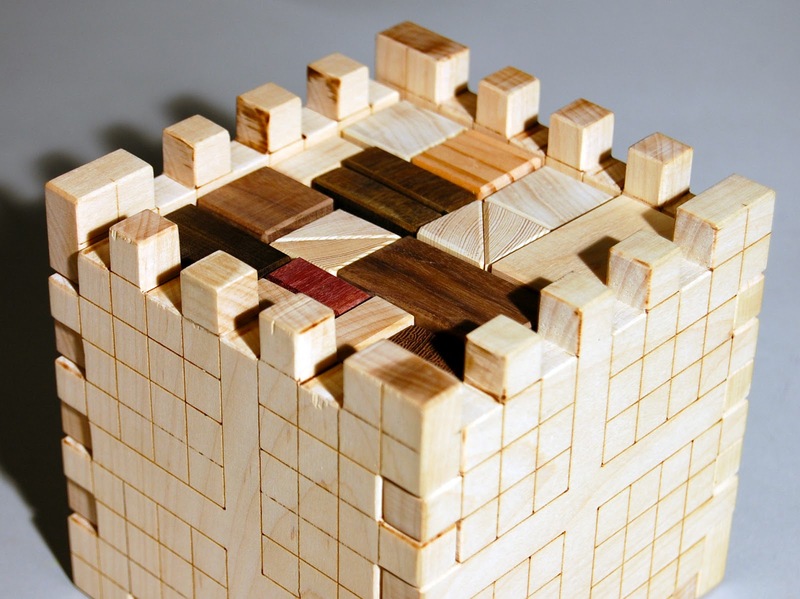 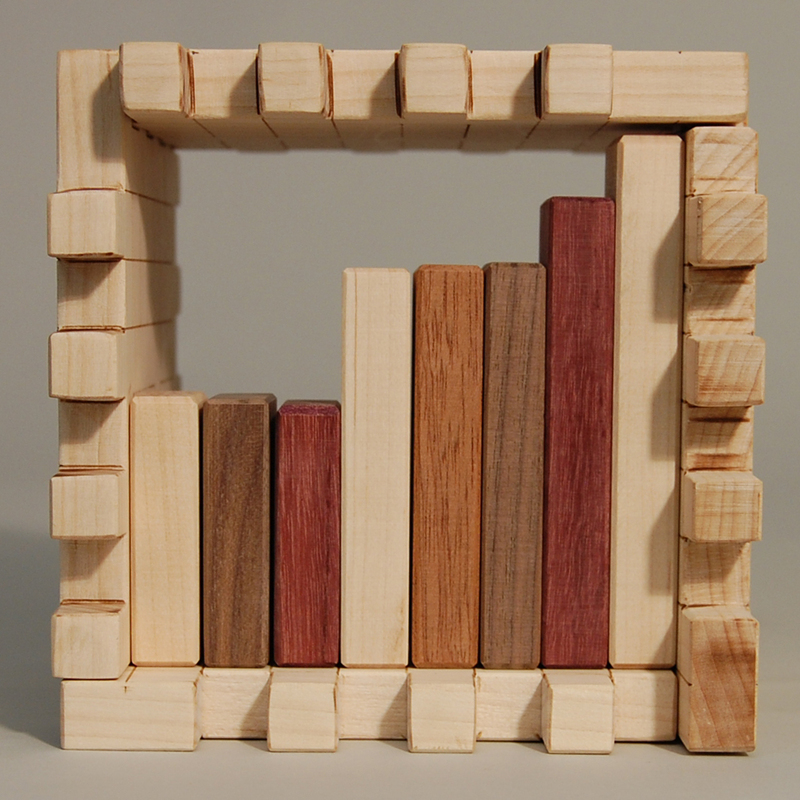 Fifty-five custom-made wooden blocks fit perfectly within a 5x5 inch finger-joint cube. 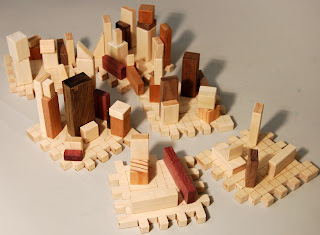 The sides of the cube unfold to become the "city" construction grid. The finger joints and building blocks are each proportional to a half-inch cube, allowing infinite design opportunities. The cube's outer walls were created by laser etching a single piece of half-inch thick maple on both sides (not an easy task) then using a custom jig, cutting half-inch finger joints with a dado blade. 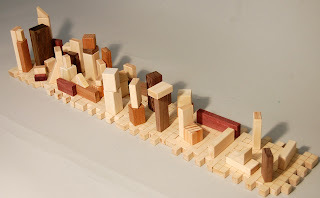 The building blocks were made from scrap pieces of other toys in production, allowing for a wide color, weight, and texture variation for the city's architecture. Some wooden blocks are made of maple, cherry, purple heart, and the richly dense epi wood, each holding a little spirit of other toys. 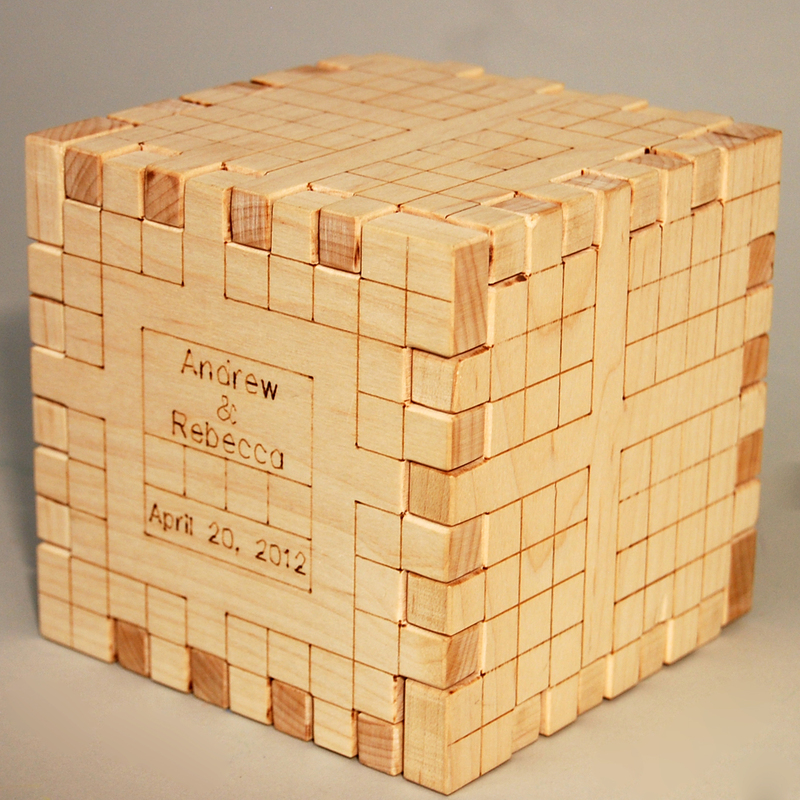 The hand-made wooden toy was custom designed and built for my older brother and his bride-to-be as a wedding gift. I wanted them to enjoy the same creativity and fun that I have experienced through architectural design. Now they and their future children can be architects too.